How Secure really is The Cloud? Cloud-based services have been around for longer than you may think. It’s more than likely that you’ve already been using them. Whether checking your emails on the likes of Gmail or Hotmail, or maybe you’re just sending a message to a friend on FaceBook or a photo on Instagram, you are using a Cloud service. Obviously, these services are not just for personal use. With the benefits of using the Cloud becoming increasingly apparent, it is fast becoming the go-to solution for companies. In this post, we will have a look into what measures are in place to prevent hackers accessing your data. With these services becoming more widespread in business, we take a look at just how secure your data is. Once a term exclusively used to describe a ball of condensed water vapour miles in the sky. It is now commonly cropping up in relation to technology. So what is “The Cloud”? If you’ve ever been inside a computer server room, you will see racks and racks of servers. This is where software, applications and data is stored. It is accessed by users through the computers on the network. This type of arrangement is called an On-premise infrastructure. Now imagine that these servers are no longer confined to one place. Imagine that they are split and being stored in multiple locations across the globe, remind you of anything? Yes, in essence, the Cloud consists of servers stored on the Internet. Well, let’s take a look at the reasons so many businesses’ are using Cloud over the traditional On-premise systems. For a Sage specific argument, check out our previous post on Sage 200 Online vs On-Premise. Back to this post, the first noticeable advantage of using Cloud is that you no longer need to have a server room. This in turn cuts down on running and housing costs. Secondly, the server space can be changed relatively simply at any point. So if your company is expanding and needs to double in capacity, then it can. Or perhaps your company is streamlining and wanting to decrease capacity, this can also be done with little effort.There is no need to physically adjust anything, as it’s all done in the Cloud. Another reason is that now your server system is effectively online, it can be accessed using a standard internet connection. Meaning your server can be accessed from anywhere in the world. So whether you’re in the office in Britain or on holiday in Brittany, you can access the same applications and data as everyone else in your company. The biggest concerns surrounding the rise of Cloud-based services is whether data stored on them is secure. Just the idea of having the entire history of your company’s sensitive information saved on the Internet is unnerving. This leads to questions arising about how secure this type of service is. Let’s have a look into whether potential users are justified to be wary. The main concern that users have is whether information stored on the Cloud will be stolen or hacked. Given that the Cloud can be accessed from anywhere this is what’s raising eyebrows. That being said, any reputable Cloud service uses extremely strong encryption codes. These apply to all data sent between users and their company servers. In theory, if a hacker does manage to intercept any data, it will be useless to them without the correct encryption key. That’s the theory anyway. Recently there have been news headlines about big company’s Cloud services are being hacked. These include iCloud, Sony and on a bigger scale Talk Talk. What may be surprising, is the way some of these servers were hacked. Rather than the traditional method of intercepting and cracking encrypted data, the attacks at Sony, in particular, were performed in-house. Hackers were finding ways through physical security doors and the like, think Mission impossible. The recently released Sage 200 Online software makes use of Microsoft Windows Azure Cloud platform which boasts one of the highest standards of security. It conforms to the industry standard ISO/IEC 27001 2005. This basically means that not only is data moving from server to server encrypted to a high degree, but where the actual servers live are guarded with high-tech door locks, cameras and systems. Handing a large portion of your company to be placed onto the seemingly invisible Cloud does sound daunting at first. But despite this, the use is increasingly in demand. Security measures are at the forefront of Cloud companies, keeping your data safe is their priority. So what are your experiences with the cloud? Are you a user, or do you prefer an on-premise set up? What is stopping you from upgrading to the cloud? 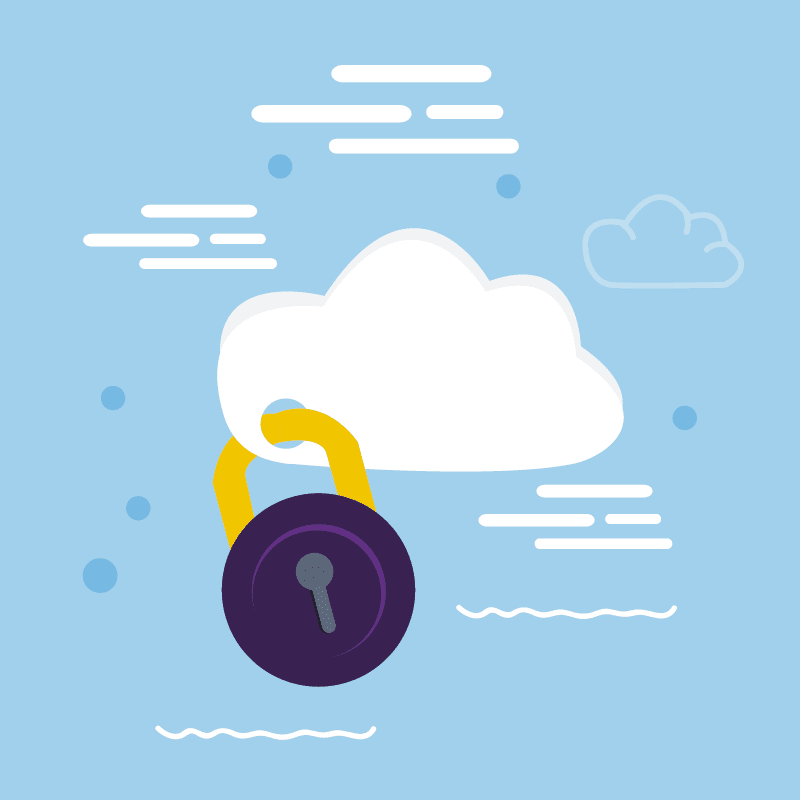 Home » Sage Blog » All Sage Blog Posts » How Secure really is The Cloud?